The American Colonists in 1776 were deeply divided: many were in favor of rebellion, many wanted to stay part of England and many just wanted to be left alone. 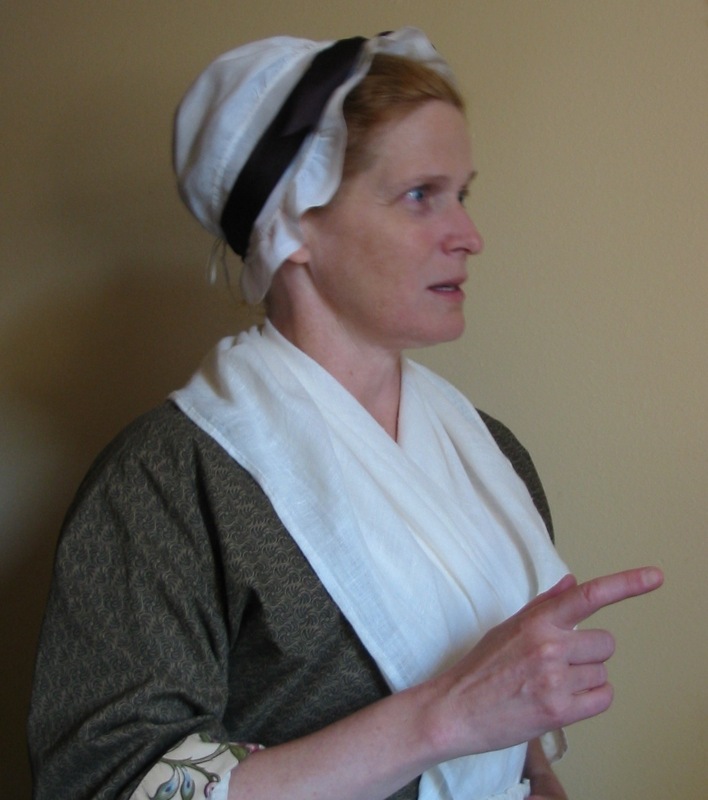 Karen brings this pivotal era for our nation to life as she portrays Patriot Susannah Foote of Boston and Loyalist Eliza Fowler of New York. Their contrasting points of view shine a light on the past that can help us see our modern times more clearly. 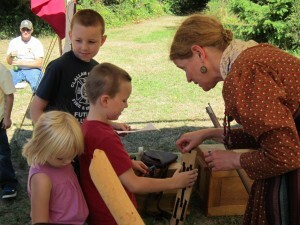 While Lewis and Clark were exploring, day-to-day life went on for the rest of the country. Imagine the excitement when the Corps of Discovery returned safely to Saint Louis in September of 1806! Join Karen as she brings this momentous time to life. Clad in the clothing of the era, she portrays Mrs. Calvin Adams, wife of a Saint Louis tavern keeper, who is eager to share the latest stories and gossip heard around town. Our nation's history is the story of diverse cultures meeting and interacting in ways both peaceful and hostile. 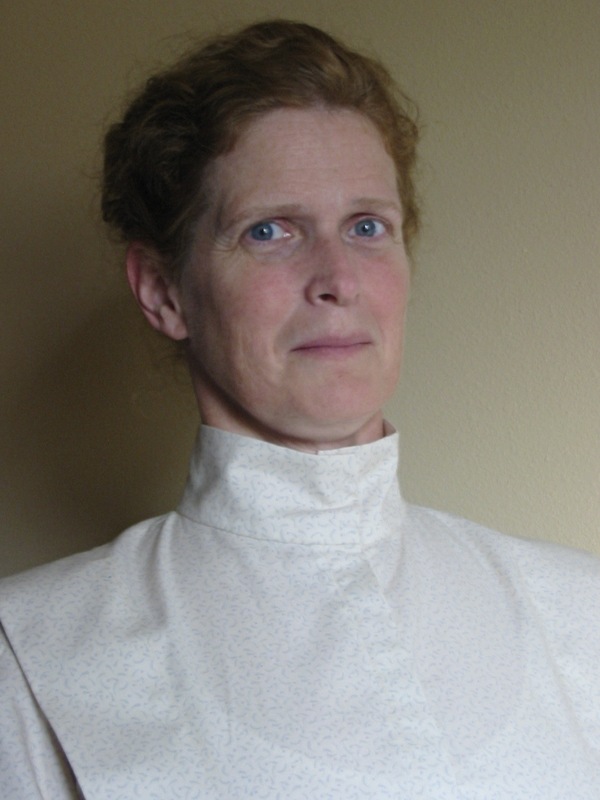 As a missionary to the Cayuse in what is now Eastern Washington, Narcissa Whitman was at the center of one such cultural intersection. 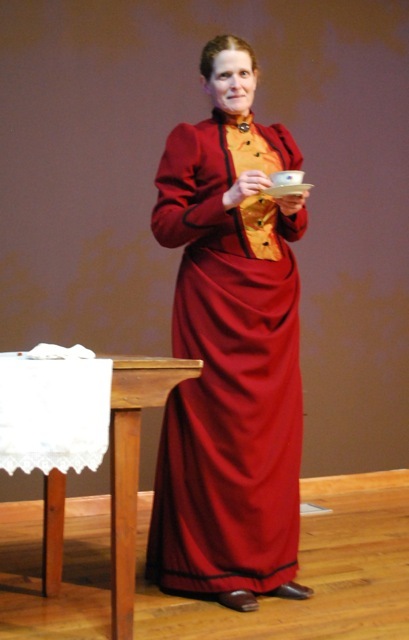 Using the text of many of Narcissa's letters as well as portions of her beloved hymns, Karen portrays Mrs. Whitman as she shares her challenges, joys, and sorrows. The summer of 1855 was a time of change in the Puget Sound as more and more people of diverse ethnic groups settled the land. Karen brings these times to life with "Sisters in Time." Wearing a work dress of the era, Karen portrays four very different women of that summer as she sings their songs and tells their stories. Though women's voices are often lost amid the din of the battlefield, their stories are an integral part of our nation's history. 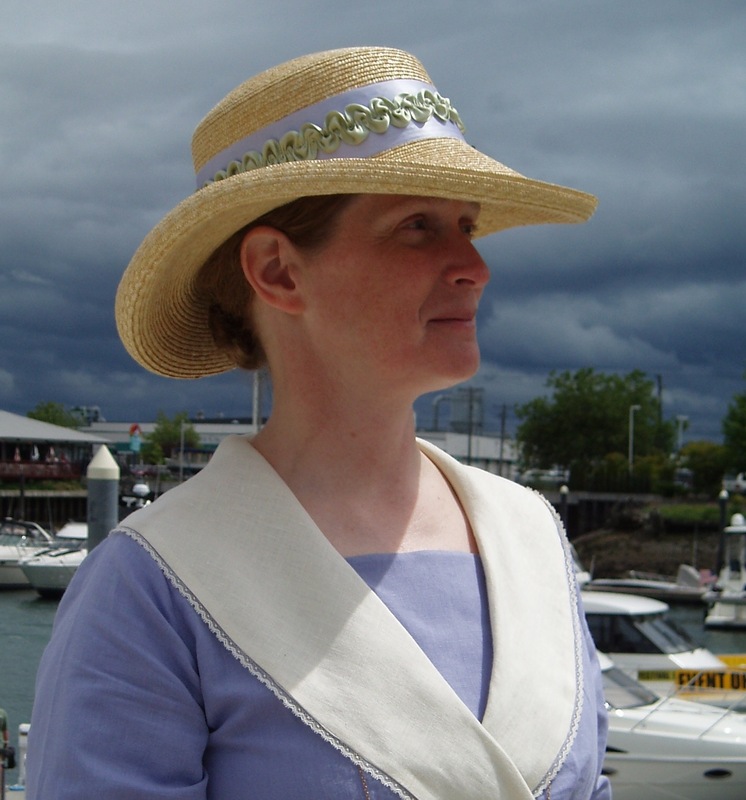 Karen has researched numerous diaries, letters, and songs written by women to create a program portraying women from differing walks of life and points of view. 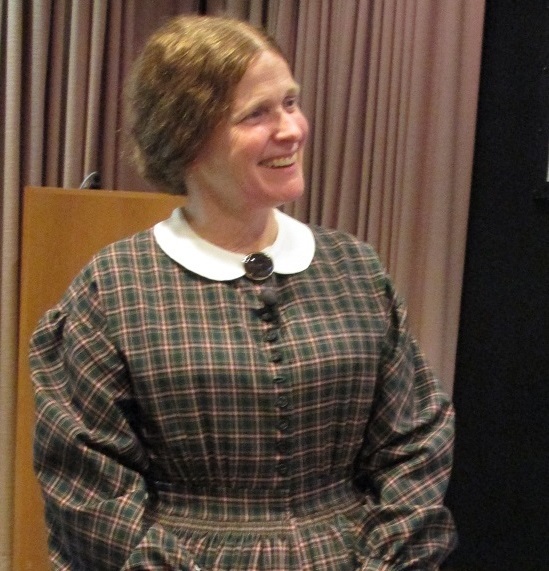 These vignettes bring a frequently neglected side of the Civil War to life: women striving to survive in a time of violence, turmoil, and societal change. Those who have studied Washington State History have likely heard of Ezra Meeker, First Mayor of Puyallup and Oregon Trail preservationist. Fewer have heard of his wife, Eliza Jane. She was an advocate of women's suffrage, founder of Puyallup's first library, and instrumental in the family's business enterprises. Mrs. Meeker truly was the power behind the Hop King's throne. 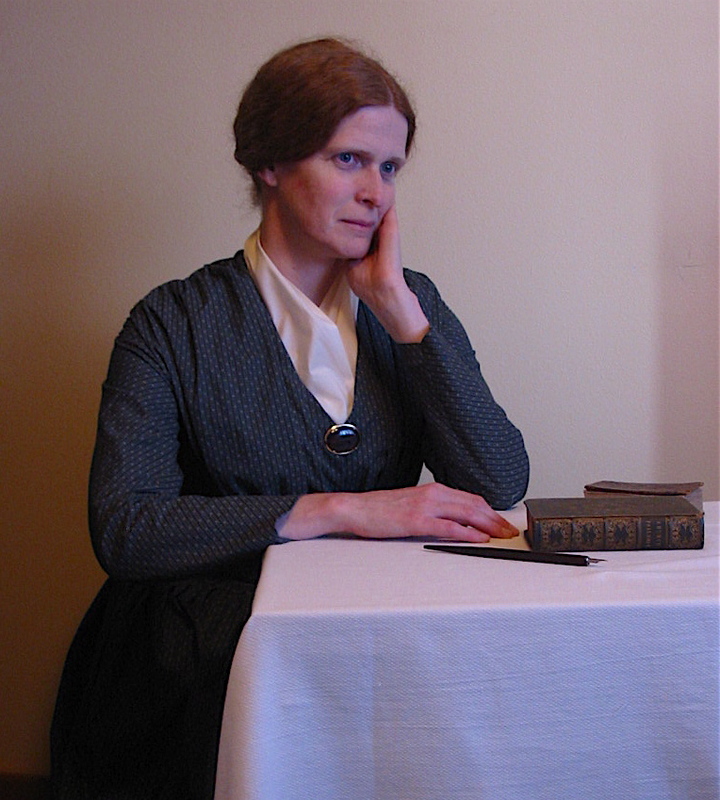 Delve into the life and time of the Meekers as Karen portrays this fascinating woman who contributed so much to our region's history. Abby Williams Hill left behind the confined life of an 1890s woman to embrace the wildernesses. Her paintings commissioned by the Great Northern and Northern Pacific Railroads capture the glories of natural wonders including those in Yellowstone, Mount Rainier, and Northern Cascades National Parks. 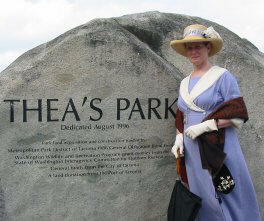 She worked to fight ignorance and improve the lives of children with the Congress of Mothers, the precursor of the PTA. Karen portrays this vibrant woman who was ahead of her time and has much to teach us today. Born in Norway, Thea Foss and her husband Andrew arrived in Tacoma in 1889. Starting with a used rowboat, they built a maritime empire. Karen portrays Thea in 1912, the year of the first Foss tugboat. She reflects back on her life and looks forward to the future. At a time when few women could, Thea Foss took her place in a "man's world," always believing, "we are members of a great body... we were born for the good of the whole." Like other immigrants, she added her experience to the rich blend that is Washington. Born in Norway, Thea Foss and her husband Andrew arrived in Tacoma in 1889. Starting with a used rowboat, they built a shipping empire. Karen portrays "Mother Foss" as she looks back on challenges and happy times, and looks forward to the future in her new community. Her life's story is mixed with folk tales and songs from her native Norway. Celebrate the songs that kept the G.I.s jiving and the home front hopeful through WWII. 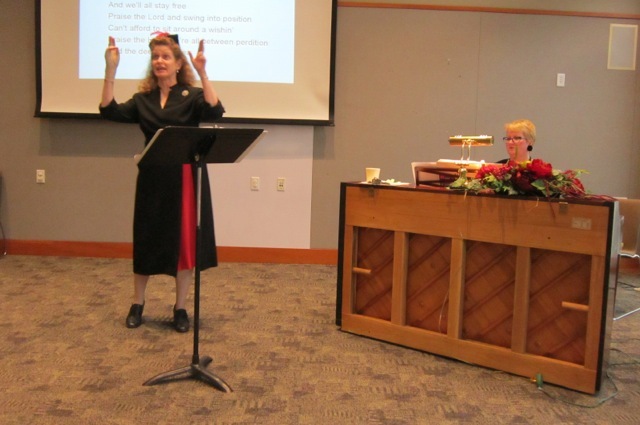 With Debi Rinehart tickling the ivories and Karen leading the singing and providing some fascinating trivia, toes will tap, the rafters will ring, and smiles will abound. 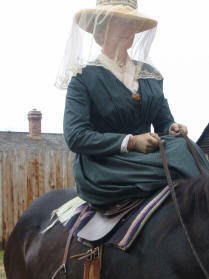 Karen brings along lots of historic props, and blends stories and songs with the items. Lewis and Clark traveled over 8,000 miles into the wilderness and inspired a nation to follow. 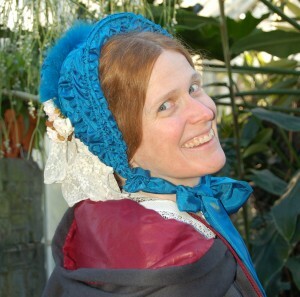 Join Karen for an imaginary journey into the unknown as she shows what the Corps of Discovery brought along and tells of the animals, people, and wonders they encountered. 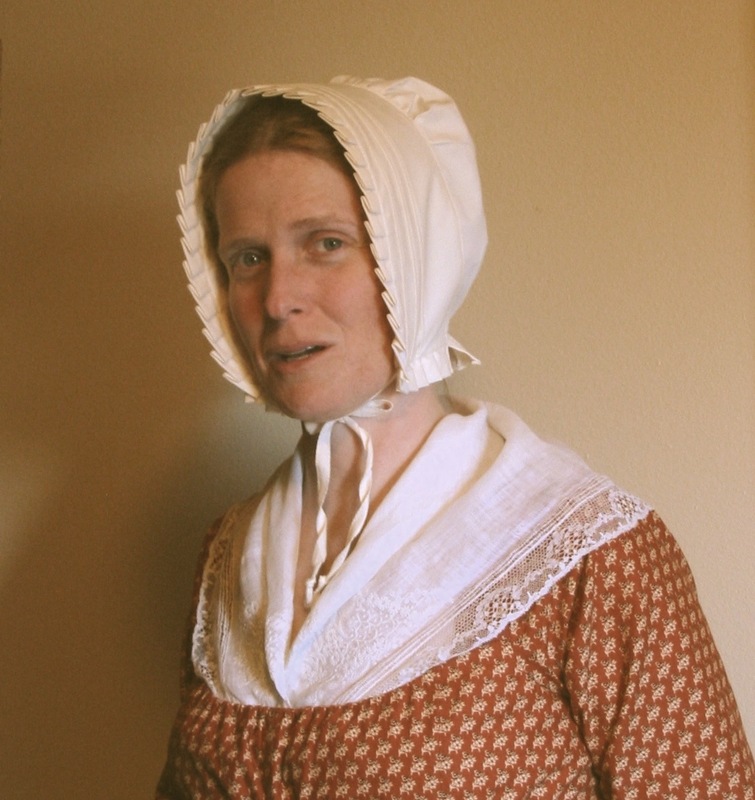 The cast of characters in the fur trade of the Pacific Northwest in the 1800s was a fascinating diverse blend of Europeans, Native Americans, Hawaiians, and American settlers. Meet these people who created the region's first "shopping malls" as Karen takes you "Back to the Fur Trade." Dressed as a Hudson's Bay Company laborer, she tells the tales, sings the songs, and shows a trunk full of tools and treasures from a time that brought great change to our land and culture. 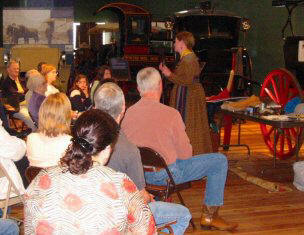 More than 250,000 people traveled on the Oregon Trail. Why did they travel, and what was the journey like? Karen takes your classroom back in time as Narcissa Whitman invites the tired wagon trains to her home in Oregon Territory. 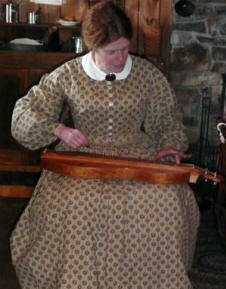 She sings songs, tells tales, shows items from her times and tells what life is like for her and her eleven children. Imagine taking a six month trip with your family in a wagon the size of a small car. That's what it was like to travel the Oregon Trail! 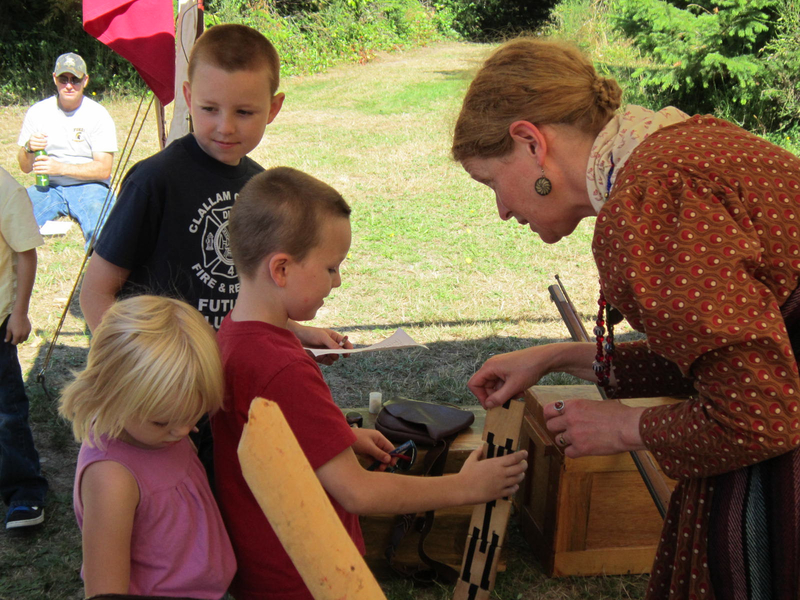 Join a wagon train through time as you sing the songs and hear the stories of the pioneers and the people they met along the way. Wagon Master Karen wears the proper period attire and shows items from the past, guaranteed to get us to our Manifest Destiny. Want to book one of Karen's programs? Contact Karen today! Fees range for public presentations from $300-$800, depending on audience size, plus travel over 50 miles from Karen's home in Tacoma.